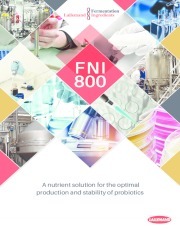 FNI 800 is a water-soluble yeast peptone produced by the controlled enzymaticsolubilisation of a primary grown yeast of the genus Saccharomyces cerevisae. FNI 800 is a spray-dried and micro-agglomerated powder. 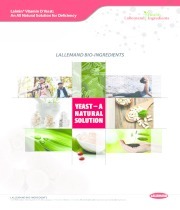 It is recommended for Lactobacilli and Bifidobacteriae, particularly the moste tedious to grouw. FNI 800 is GMO free, Kosher and Halal certified.